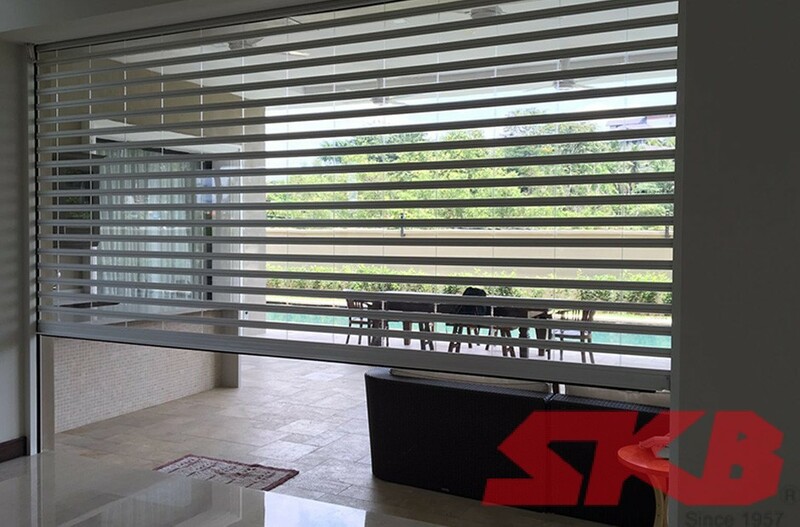 The SKB Staircase Safety and Security Shutter was designed in light of the rising crime rate among residential homes and commercial premises. 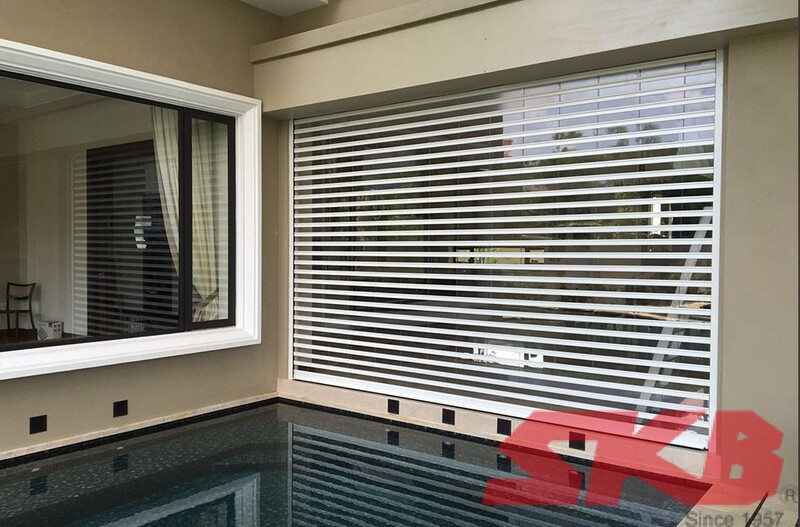 The staircase shutter was carefully designed to ensure that shutters can be easily accepted and blend in residential settings. 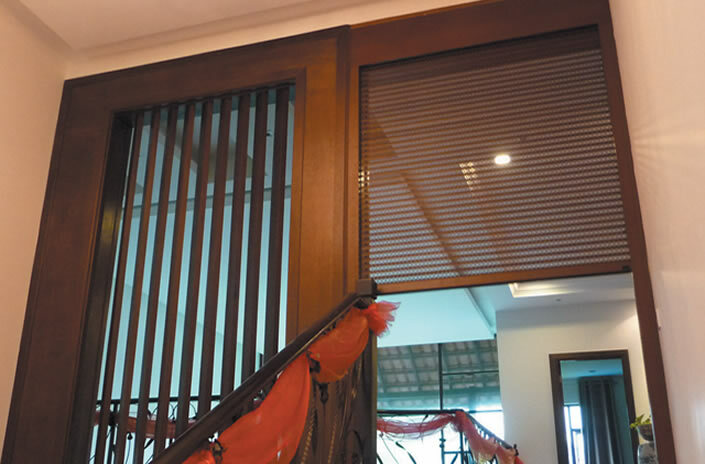 The staircase shutter is strong and durable and easy to maintain. Heavy duty guide rails are used to enhance the durability and security as it increase its impact resistance from external force. 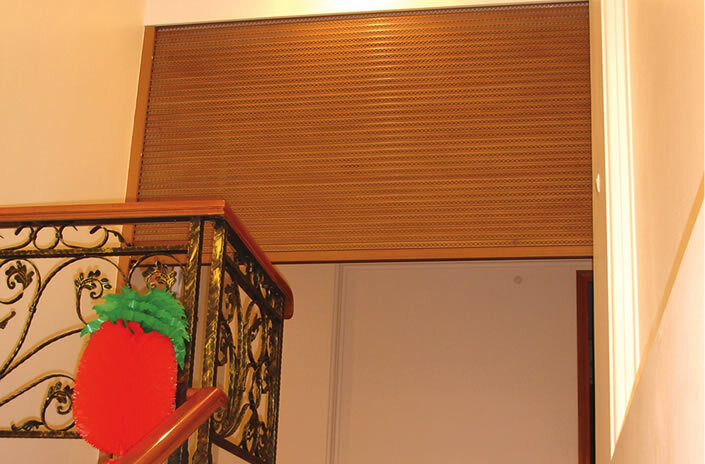 These shutters are often installed at the staircase landing of the upper floor to separate the upper floor from the public floor or commonly the ground floor where the entrance to the premise is. In case of power failure, the shutter can be drawn with a manual winding device or a back-up battery can be installed to cater for emergency escape. Shutter enclosure box is made of 0.8mm zincalume steel.